Didn’t buy Windows 7 or Windows 8 before Windows XP expired? We’ve written about the hazards of running an expired operating system on the HardBoiled blog, and chances are you’re familiar with much of the dialogue on it already. But just to recap, here is what you can expect from Windows XP now that Microsoft has pulled the plug on support and updates. Increased exposure to cyber attacks, especially if you are using Windows XP for e-mail and web applications (especially Internet Explorer). Any security measures you have in place are undermined by running an outdated operating system, which are known targets for cyber criminals. Sapped performance. Computers running expired operating systems suffer from slow boot times, and encounter greater numbers of incompatible devices and applications—like web browsers and cloud services—as vendors cut off support. These types of performance strains worsen with time. If you’re like the 15-19 percent of users who still haven’t yet upgraded to Windows 7, Windows 8, or Windows 8.1, maybe you think there’s a valid reason for dealing with the security risk and performance degradation of using Windows XP. Maybe it is because the powers that be don’t recognize the implications of keeping around an expired OS. If you’re an IT manager hearing one of the five excuses mentioned below, here’s something to show the bosses to convince them that migration is a cheap, safe bet for smoother OS performance. Excuse: I use legacy software that doesn’t run on Windows 7 and above. You should still upgrade because: Windows 7 Professional and Ultimate versions offer a virtual Windows XP mode that lets you run applications that might not run well (or at all) in Windows 7. Microsoft offers this feature as a free download. Note that: Your computer must have a processor that supports hardware-assisted virtualization. Both Intel and AMD have extensive offerings of processors that support virtualization; check your manual or our processor store page to see which models meet this requirement. Excuse: My users will find the change to Windows 7, 8 or 8.1 jarring and lose productivity. You should still upgrade because: We hear you; people don’t like change. But research tells us that SMB environments significantly gain productivity running a later Windows version. Also worth mentioning is a reduced cost of IT, which dropped off 65 percent according one IDC survey. End users saw benefits as well, with fewer reboots, malware issues, and overall downtime. In fact, the study found SMBs experienced ROI in as little as 7.2 months. Note that: The Windows 7 user interface is more familiar to an XP user than Windows 8, which is designed for touch screen optimization. The extended support period for Windows 7 Pro will last until January 2020 according to Microsoft. Excuse: Microsoft is continuing support of Windows XP anti-malware features into 2015. You should still upgrade because: While it is true that Microsoft will issue new signatures for the XP antivirus engine through July 2015, attackers can reverse-engineer new patches for more recent operating systems to discover and exploit vulnerabilities in Windows XP. Note that: It is also true that antivirus vendors will continue roll out XP updates for their software as well. You may opt to deploy extra layers of antivirus protection (a few tips on this) and be steadfast with updating the software. However, the time and costs associated with this likely outweigh that of upgrading the operating system. Excuse: I will not use this computer to access the Internet. You should still upgrade because: This is an impractical use of hardware, unless you’re using it for something like a computer-controlled machine tool. If you’re using Windows XP as part of an embedded system, you have Microsoft support through 2016. Note that: Internet abstinence is the only safe policy for an outdated operating system. Don’t want to disable the Internet from your PC? Upload the free operating system Linux and train your entire staff to use it— that’s really the only other option for safe Internet navigation. Excuse: It is too expensive to upgrade. You should still upgrade because: We get it—budget is tight, things are working fine for now. But think of it this way: hardware upgrades come bundled with a new operating system. Machines running XP are at least five years old. With many new general-purpose business PCs retailing in the $300-$500 range, the value-add of getting both the new OS and the new hardware gets near 50 percent. Note that: Refurbished computers come with current Windows operating systems as well. There is a lot of value to be had here—machines with a lot of power and performance in the $200 range. If you’re skeptical about the refurbished tag, take a look at this article: 5 Myths About Buying A Recertified of Refurbished Computer. Make sure to check NeweggBusiness for continuous promotional offers on licensing for Windows operating systems, and low-cost / high-performance desktop and laptop PCs. 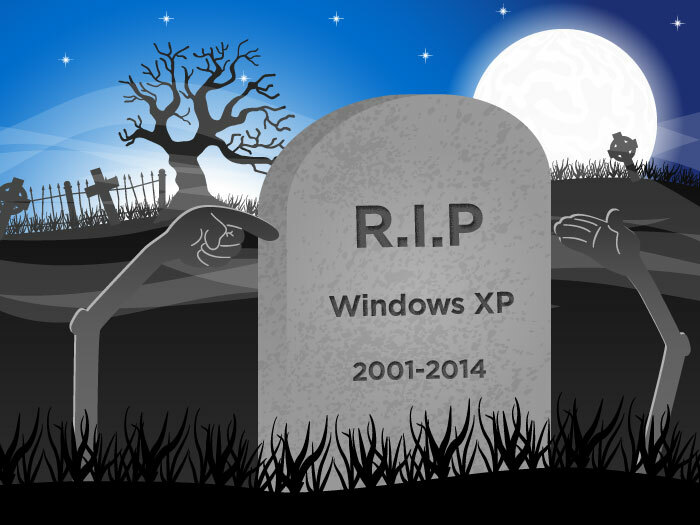 Let us know in the comment section—what are the reasons you are holding off on migrating from Windows XP? If you’re an IT manager hearing one of the five excuses mentioned below, here’s something to show the bosses to convince them that migration is a cheap, safe bet for smoother OS performance.